I'll be very frank here. The first time through this novel all I could think of was just how preposterous this story is -- the main character makes a series of choices that no sane person would ever find herself making given the circumstances. So thinking I must have missed something here, I went through it again, and came out with an entirely different perspective on things. The second time through, I started to realize just how clever a book this actually is, to the point where I'm going to add it to my real-world book group's reading list next fall. Had I read it when I received it from Indiespensable, it would have gone on this year's lineup, but later is better than never, I suppose. The first clue that this is not your average novel is that the entire book is written in the second person ("you"). 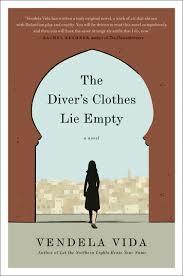 The Diver's Clothes Lie Empty begins on an airplane going from Miami to Morocco, and right at the outset, the reader is presented with a puzzle. What exactly does the narrator mean when she refers to "the horror of the last two months?" And why is she trying to avoid being recognized by a fellow passenger, whom she remembers from the last time they met? And on arriving in Morocco, why is tipping the taxi driver twenty dollars her "initial mistake?" As the novel progresses, you, the reader, come to discover that these questions are just the foundation for what's to come. Very briefly (I'll post professional reviews that give more away than I will when I'm done here), my take on this novel is that what follows is a major examination into the questions of identity, role-playing, and reinvention of self. And it all begins with the theft of the narrator's passport. She reports the theft to the police, making a huge error when asked what she does for a living. When she says that she is a reporter for The New York Times (which she isn't), writing a travel story, and hopes she doesn't have to "include this" in her report, it isn't too long afterwards that she learns her backpack complete with contents has been found. The police chief hands her a bag that she knows is not hers, saying that she can now write "How good the police are here in Casablanca." It's a sort of unspoken game they play here, as well as a critical moment in the book, leading to the narrator becoming a sort of "stand-in" for the woman whose identity she now holds, playing a role, so to speak, as that person. And while I won't explain why, the narrator is offered a job as a stand-in for an actress, to be used during scene blocking during the filming of a movie there. This role of "stand-in" brings up yet another idea in this book, that of performing/performance, and will repeat itself throughout the novel in various ways, until the initial questions the author presents are finally answered and the reader "you" comes to understand a) how identity and performance mesh here and b) just what is at stake for the narrator in terms of reinventing herself. There are other things here as well -- the intrusion of American culture just one more thing to watch for. 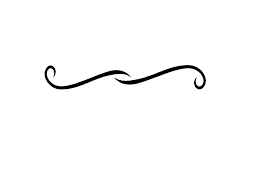 The novel's title comes from a poem by Rumi of the same name, which is reproduced within the book; the use of the second person here, as I sort of impatiently reminded the naysayers on Goodreads, reflects the style used in the poem. As I noted earlier, I liked this book much more after the second time through, but one thing I didn't particularly care for either time was just how much the ending of this book (as I see it) depended on a huge coincidence -- and while I understand why, I'm someone who doesn't particularly like when things hinge on coincidence. I can also understand reader reservations about this novel -- chances are that the "you" who is reading this book would not make the same preposterous choices as the narrator did at any juncture in this novel. However, you are not in "your" head at any given time, but inside that of the narrator's; once you give over to that fact, it's a far less-stressful way to get through the novel.